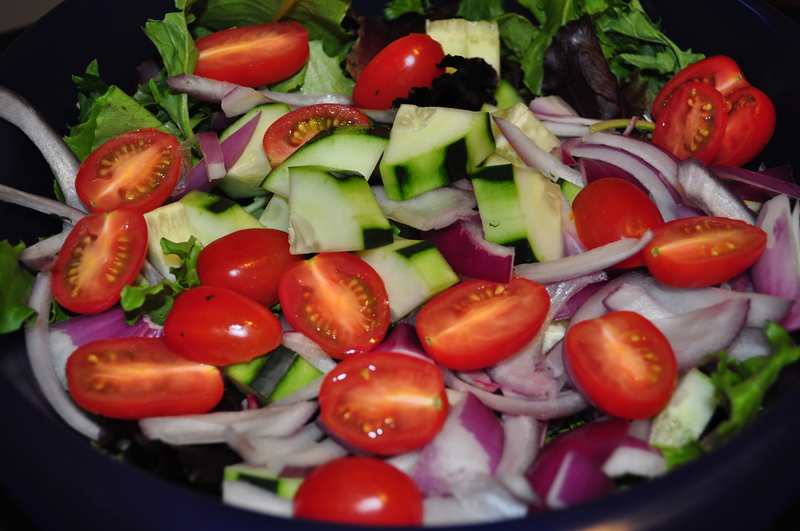 So with such heavy meals in the recent past, I opted to go for something on the lighter side – a salad. But, being me, I can’t eat lettuce and call it a day. 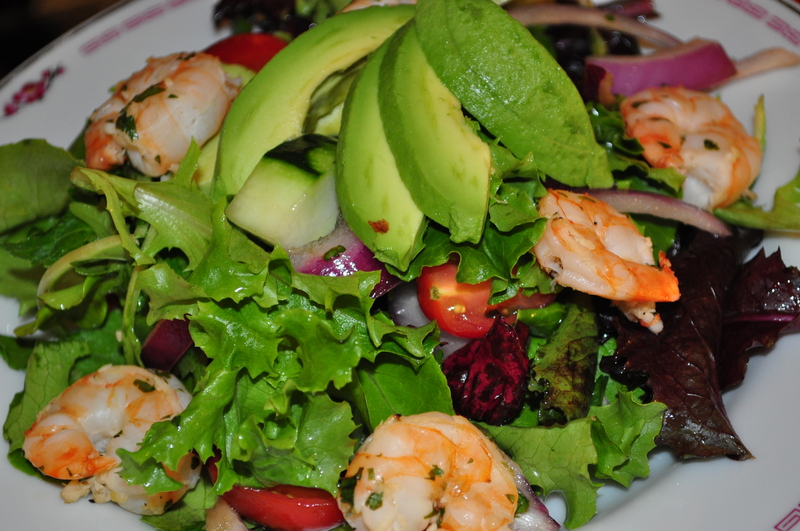 I had to add some kind of protein, so for this salad, I went with shrimp. 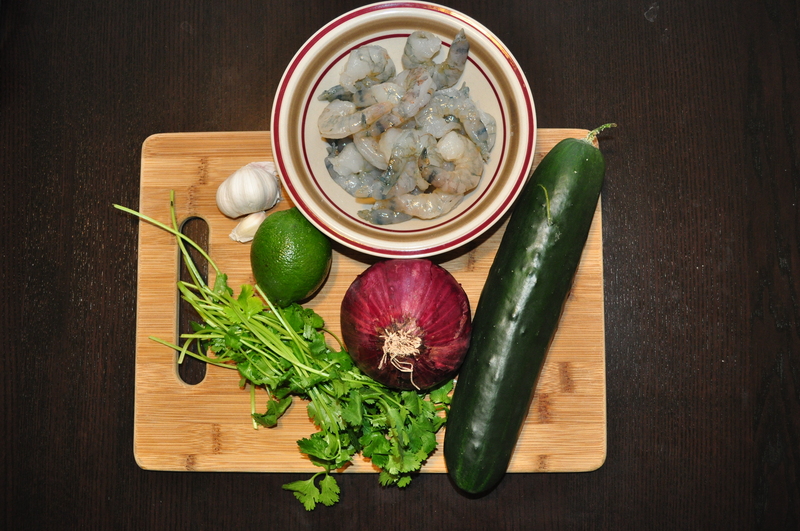 I made a cilantro-lime vinaigrette, so it seemed to make sense to also have cilantro-lime shrimp. What a wonderful salad for summer. Love the colors. Thanks for sharing. Thanks! Hope you get to try it out. It’s light and refreshing! Same here, I can’t just eat leaves and be done with the meal. This is an interesting recipe, hoping to try it out soon. Thanks for sharing! Just reading through the recipe, i can imagine it must be a very refreshing salad for summer! Thanks for sharing! Go for it! It’s really simple and refreshing. Let me know how it goes! This looks right up my alley! Will get back to you on this for sure.